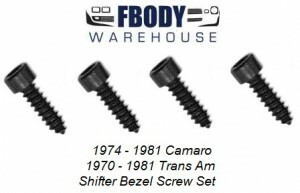 This is a set of reproduction correct head shifter bezel screws for automatic shifter equipped Camaro and Trans Am. These feature a finer thread which makes for a good fit. 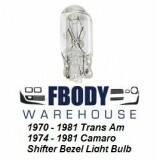 For use on 72-81 Camaro and Trans Am with factory automatic shifter. 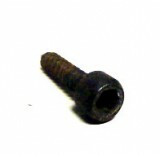 Why install rusty fasteners when putting on a new shift plate?